I can’t help but think of the warmer weather and sunnier days that come with spring. Have you decided on your wedding colors yet? 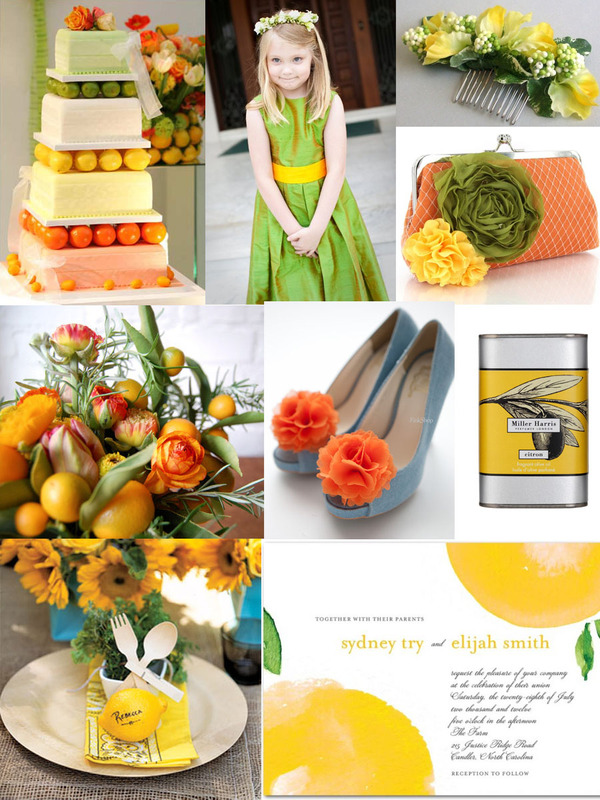 How about citrus colors: yellow, green, and orange… So pretty and fresh, don’t you think?